In their Q1 2016 earnings call, AMD confirmed the market positioning of their next-gen Polaris GPUs. We know that AMD Polaris products will be launching in mid of 2016, this statement was confirmed once again by CEO of AMD, Lisa Su, in the earnings call. The Polaris family will include two products, a small chip known as the Polaris 11 and a big chip known as Polaris 10. Yesterday, AMD confirmed what products their Polaris 10 and Polaris 11 chips will be featured inside. The AMD Polaris 10 GPU is known to be the flagship chip based on the GCN 4.0 architecture. 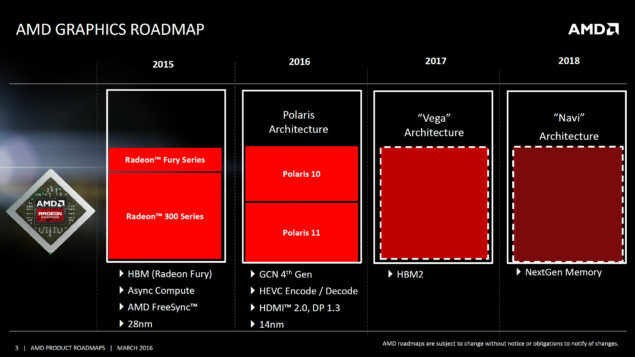 The Polaris 10 will remain the flagship until Vega arrives which is launching in 2017. 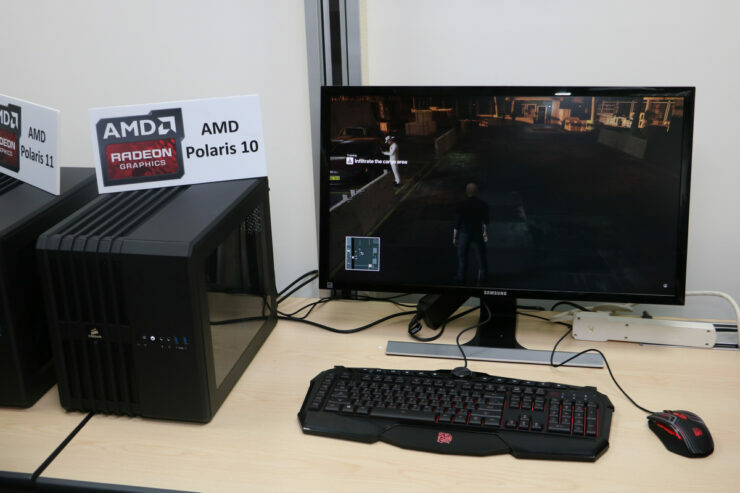 AMD demoed a Polaris 10 based graphics card at Capsaicin 2016 in Hitman running in DirectX 12 at 1440P resolution and delivering a steady 60 FPS. Polaris 10 sounds like a replacement to the Fury X but in fact, it is replacing the mainstream lineup. 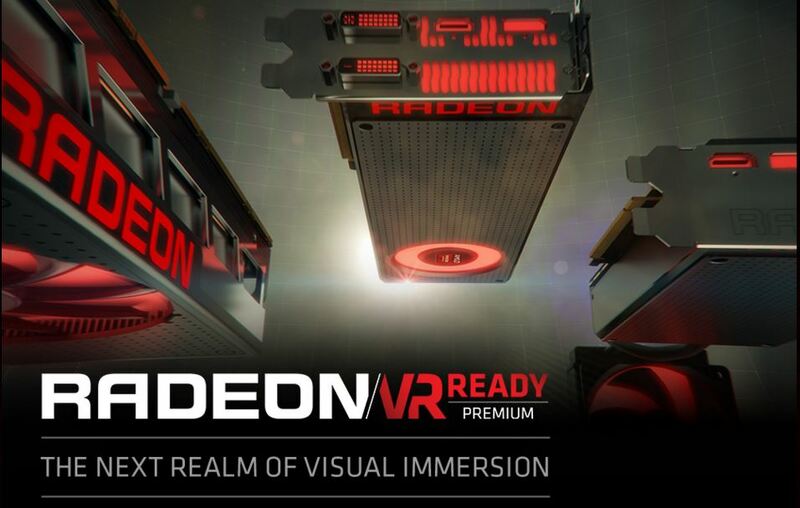 According to AMD, the Radeon R9 Fury series cards are enthusiast grade products. Everything below them that includes the Radeon R9 390 and Radeon R9 380 series are mainstream cards. AMD will be filling this market to dispose off their older cores and replace them with new power efficient products. We know that Polaris 10 will either be the Radeon R9 490 or the Radeon R9 480 series but we can’t be so sure as this information is still part of a rumor. AMD confirmed that Polaris 10 is aimed at both mainstream desktop products and high-end notebook products which means that this chip is quite fast. The Polaris 10 could be similar to NVIDIA’s GM204 which servers both a high-end mobility lineup and the mainstream desktop lineup while staying competitive in terms of performance and efficiency. 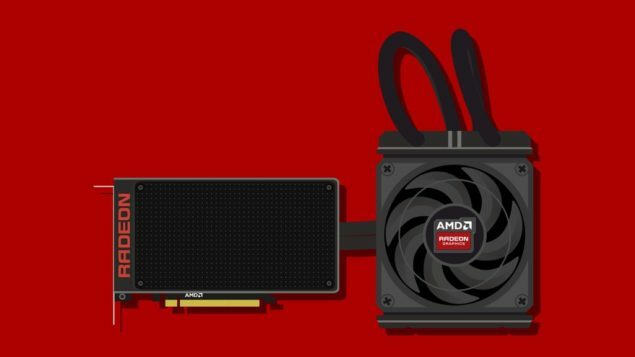 Previous leaks confirm that AMD is leaving out space for two GPUs in the mobility lineup. The Polaris 10 could be featured on the top-end Radeon R9 M490 series family which will be included in high-performance laptops. AMD also mentions a 2x performance per watt increase over current generation cards which is thanks to a new process node and a improved GCN architecture. 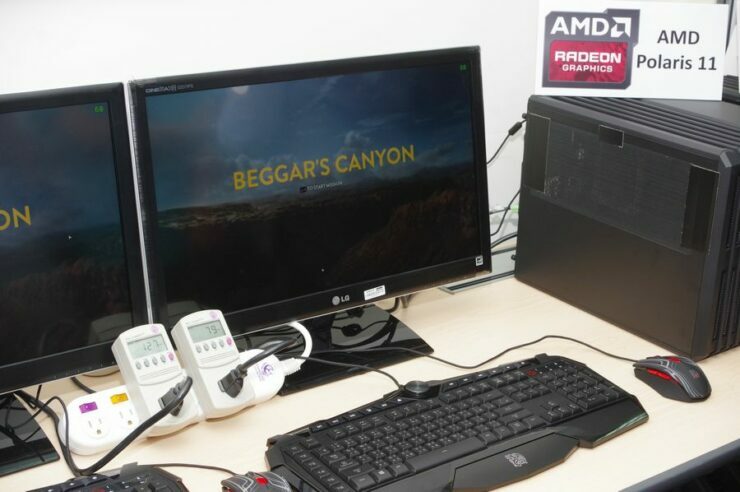 The AMD Polaris 11 was demoed back at CES 2016 and we have since known this as the baby Polaris chip. The chip is small but is extremely efficient against current gen cards from AMD and NVIDIA. 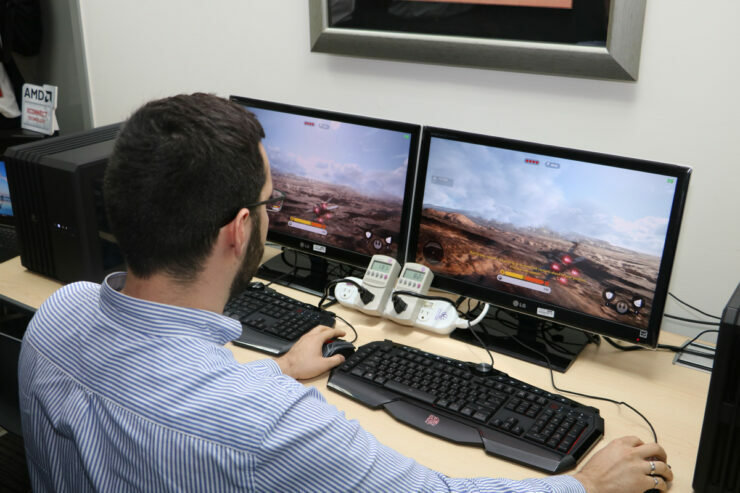 AMD has already shown the Polaris 11 GPU to journalists and demoed it against a GeForce GTX 950 to showcase a 50W difference in the 14nm and 28nm process technologies. 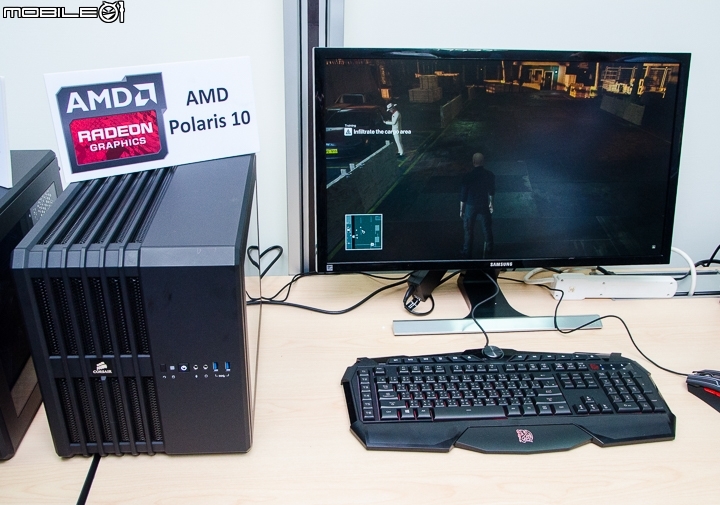 The AMD Polaris 11 GPU however is said to be aimed at the notebook market. The chip is said to have wattage under 50W so it makes sense to include this in laptops as its efficiency and performance stats will prove great but this also means that we may or may not see a desktop graphics card based on Polaris 11 for a while or one at all. 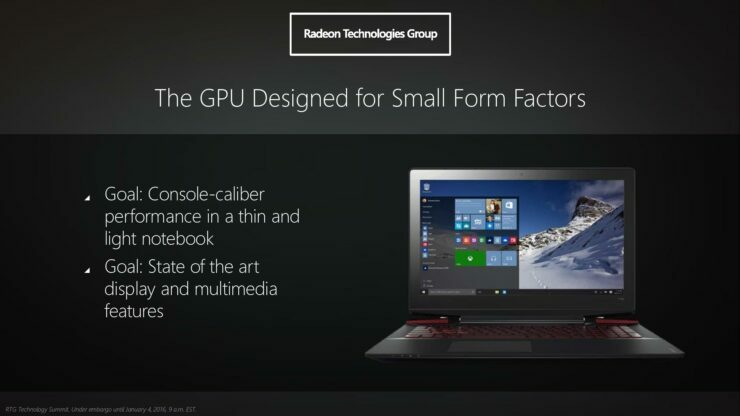 Right now, according to the official statement from AMD, Polaris 11 seems to be a mobility focused GPU. We also want to share some information we learned from our sources about Polaris 10. 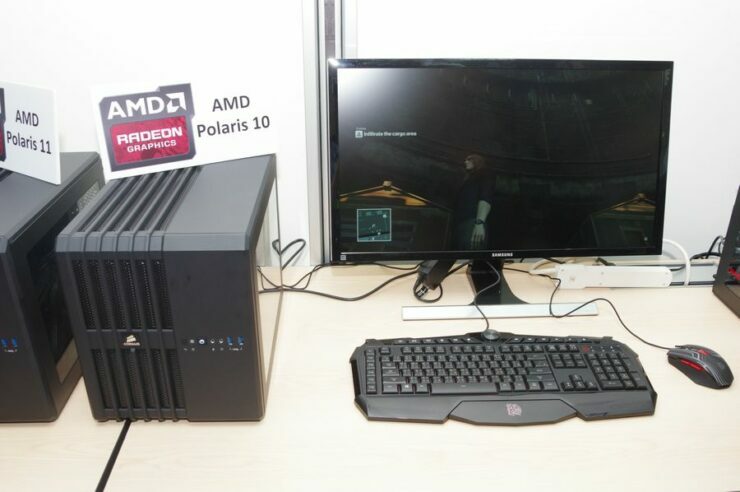 AMD recently hosted a event in Taiwan to showcase their Polaris GPUs (Polaris 10 and Polaris 11) along with the Radeon Pro Duo card to journalists. We shared slides of the Radeon Pro Duo from that event yesterday. People were able to get some info out of AMD and it seems like the Polaris 10 can be an extremely competitive product. The AMD Polaris 10 GPU has a maximum TDP of 175W but cards will actually consume much less than that. The GPU was initially built to support HBM memory but AMD chose to go the GDDR5/X route since it offers a better value currently. We will get to see HBM on AMD GPUs when Vega launches but until then, only Fury series will have HBM support. The Polaris 10 GPU is said to have 3DMark Firestrike Ultra performance around 4000 points which is about what a Radeon R9 Fury X and GeForce GTX 980 Ti score. By 4000 points, we don’t mean exactly 4000 but it’s actually a bit less than that.